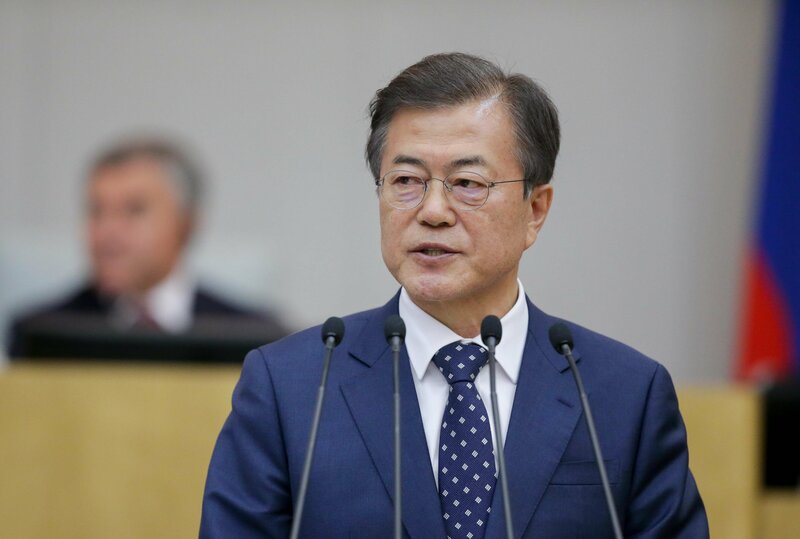 President Moon Jae-in on Tuesday highlighted the need for an extra budget to address growing issues of fine dust air pollution and public safety. Following a report from the finance minister, the president told the government to swiftly push for a supplementary budget so necessary funds can reach where they are needed in time, his office Cheong Wa Dae said. The call follows a massive fire in eastern Gangwon Province that left more than 4,000 people displaced while leaving some 250 hectares of forests and lands reduced to ashes. The government has designated the affected areas as disaster zones, entitling their governments and people to special government support. “President Moon received a report on the government bill on extra budget for Gangwon Province forest fire, fine dust reduction measures and emergency economic support measures, and ordered his government to make sure that government support for areas that urgently require budget is not delayed,” Cheong Wa Dae vice spokeswoman Ko Min-jung said in a press release. The president also stressed the need for steps to prevent forest fires that he said may require additional firefighting helicopters. “Also, President Moon asked the government to use the extra budget to come up with fine dust reduction measures that can be taken in advance, noting that steps taken after an increase in fine dust may have little effect,” the Cheong Wa Dae spokeswoman said. The call for an extra budget, however, comes amid objections from opposition parties, especially the main opposition Liberty Korea Party (LKP) which claims the government may be seeking to use the additional money to push for its debated growth strategies largely centered on creating new jobs. LKP floor leader Na Kyung-won has said her party will fully cooperate with government efforts to devise a supplementary budget if the money will only be used to help victims of natural disasters, including the Gangwon forest fire. The government is widely expected to seek up to 9 trillion won (US$7.9 billion) in extra spending this year with Finance Minister Hong Nam-ki recently voicing a need to increase spending to counter downside risks for Asia’s fourth-largest economy. The country’s central bank has cut its 2019 growth outlook for the South Korean economy to 2.6 percent, down from a 2.7 percent on-year expansion forecast in October.